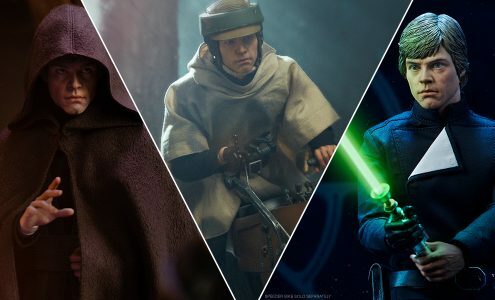 The Star Wars Collectibles Panel was at 11 AM PT with some of the high-end licensing teams, including Sideshow Collectibles. Sideshow revealed an all-new Lando Calrissian (Skiff Guard Disguise) Sixth Scale figure. 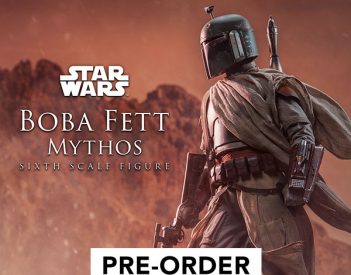 The uber-cool Boba Fett Mythos figure is now available for pre-order. Click here for the pre-order page. ← Your Most Favorite Star Wars Battle! 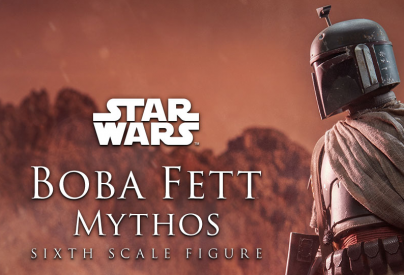 Previewed this past January, Sideshow Collectibles has officially announced their upcoming Sixth Scale Boba Fett Mythos figure. Look for this to go up for pre-order on Monday, July 16th. ← First Look! Force Link 2.0 Princess Leia Organa [Hoth] & Moloch! AWESOME! Tonight’s Visual Guide update focuses on the Sideshow Collectibles Sixth Scale Snowtrooper Commander. Click below to check out our full Visual Guide page. In honor of Commander Wolffe’s appearance in the Star Wars Rebels finale, let’s get him added to our Sideshow Collectibles Visual Guide! Click below to check out the amazing sixth scale Clone Commander Wolffe (104th Battalion). We also have a full review of this figure right here. 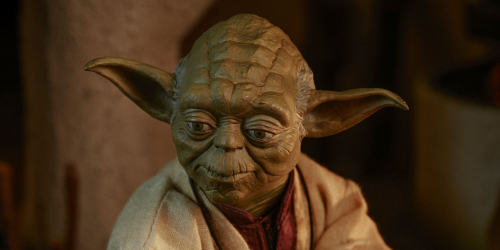 ← Will Snoke Reappear In A Star Wars Movie? ← Imperial Death Trooper 6" Figure For $9.99! Check out the newly released Sideshow Collectibles Sixth Scale Han Solo In Carbonite, our latest addition to the Visual Guides. Click below for a detailed look at this very cool collectible, and make sure to also stop by and read our full review. 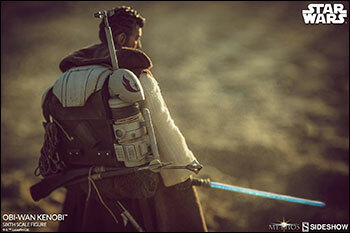 The ultra-cool sixth scale Obi-Wan Kenobi Mythos figure is now available for pre-order. Click here for the pre-order page. ← What Could Be Done Better When It Comes To Product Leaks? Check out the next Visual Guide update, the Geonosis Battle Droid Commander & Count Dooku Hologram Sixth Scale Figure from Sideshow Collectibles. Click below for the full Visual Guide. Make sure to also read our full review right here. 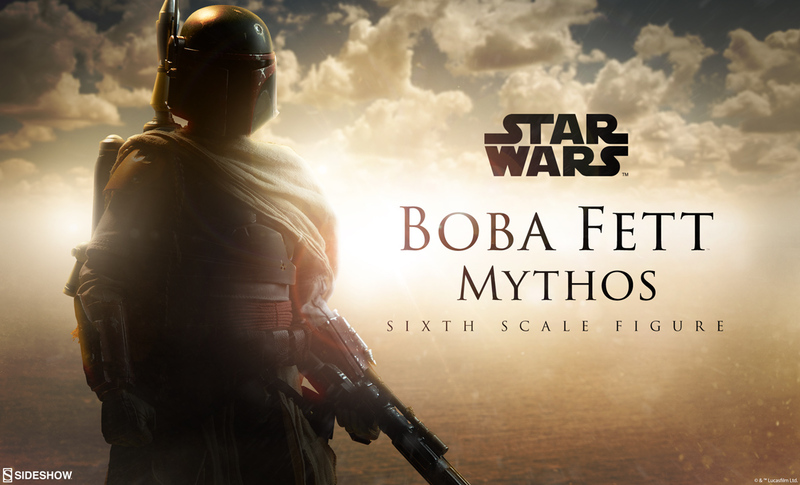 ← Where Are All Of Those TBS6 Product Leaks? With the abundance of clone troopers Sideshow has released, it’s only natural to give them somebody (something!) to shoot at. Check out our latest Visual Guide update featuring the Geonosis Infantry Battle Droids. Click below for the full Visual Guide experience. And, don’t forget to visit our review for more galleries and information. We’re adding the forth and last deluxe clone trooper to our Visual Guides. Click below to check out the Deluxe Clone Trooper (Shiny) Sixth Scale figure. You can also read about this figure in our review database right here. Another Sideshow Collectibles Deluxe release was the Deluxe Clone Trooper (501st). Click below to visit our newly added Visual Guide. Click here to visit our review. Sideshow Collectibles released a series of deluxe clone troopers, including the Clone Trooper Deluxe (212th Attack Battalion) Sixth Scale Figure. Click below to check out the full Visual Guide. This figure is also right here in our review database. 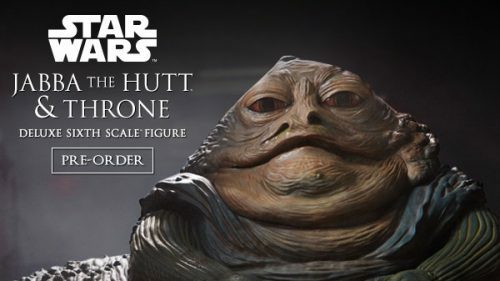 ← Emperor's Royal Guard IN STOCK At Walmart.com Again! We’re continuing with the addition of clone troopers to our Sideshow Collectibles Visual Guide. Click below to have a look at the Clone Trooper Deluxe (Veteran) Sixth Scale figure. Make sure to also check out our review of this figure right here. The Sideshow Collectibles Visual Guide gets an update tonight. Click below to take a look at the Bomb Squad Clone Trooper (Ordnance Specialist) Sixth Scale figure. We also have this full review in our database, so make sure to check that out as well. The 4-LOM 1:6 Scale Figure is gorgeous. Find out why in our Research Droids Reviews today. Be sure to leave your own thoughts in our comments section, vote in the poll or even leave comments about it on our Facebook page. Click the banner below for the direct link to the review! As always, you can also send your own personal review requests via email if you’d like to see something that we didn’t cover yet. ← What Is That Place Where That One Guy Was From? The Luke Skywalker (Rogue Group Snowspeeder Pilot) 1:6 Scale Figure should have completely wowed us, but it falls short in two important areas. The figure however still looks amazing. Confused? Yes, so are we. See why we want to fully love this collectible but cannot commit to it in our Research Droids Reviews today. Be sure to leave your own thoughts in our comments section, vote in the poll or even leave comments about it on our Facebook page. Click the banner below for the direct link to the review! As always, you can also send your own personal review requests via email if you’d like to see something that we didn’t cover yet.